Copper Box Arena will be one of 21 host venues for the 2021 Rugby League World Cup, hosting the Wheelchair Rugby League World Cup 2021. The event will also be the biggest ever tournament for wheelchair rugby league, with the venue hosting England’s group at the Queen Elizabeth Olympic Park. 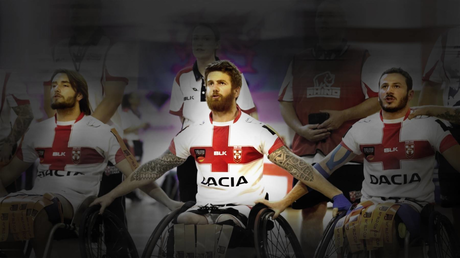 The tournament will be one of the most inclusive and diverse events ever hosted in England, promoting the three simultaneous disciplines of the men’s, women’s and wheelchair Rugby League World Cup. The Wheelchair Rugby League is truly the most inclusive sport of all - not solely a disability sport, as able-bodied people are welcome to compete as well. The Rugby League World Cup 2021 will be contested by up to eight teams over eight days, with the showpiece final coinciding with the climax of the Men’s and Women’s events as part of an epic ‘Finals Weekend’. Phil Lane, Head of Sport & Communities Team at GLL added “We are thrilled to be hosting the Wheelchair Rugby League World Cup 2021. With our 2012 Paralympic heritage, the Copper Box Arena is in the heart of the Queen Elizabeth Olympic Park and it is great that we can support the tradition. We look forward to hosting this exciting event”. The tournament will be held in October and November 2021, and promises to deliver some inspirational and memorable moments that will become highlights of the 2021 sporting calendar and beyond. The Emirates Stadium and Copper Box Arena are London’s host venues, which form the 21 venues in total that will be part of the competition.